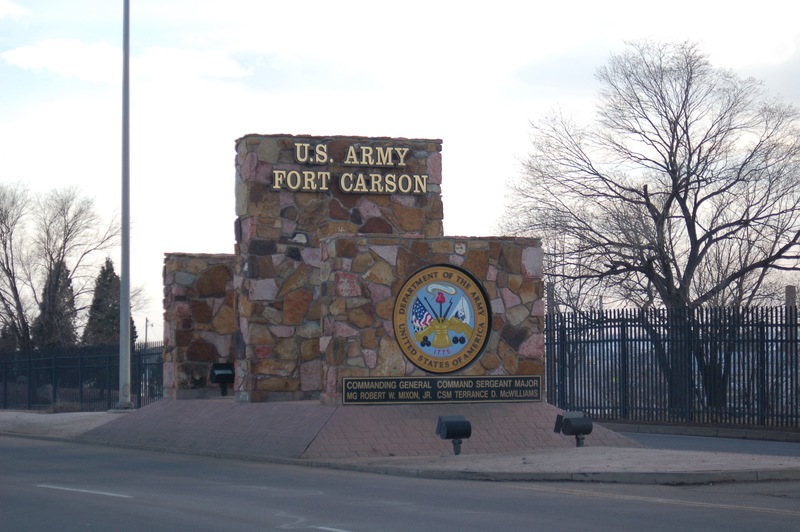 Fort Carson prepares trained and ready expeditionary forces for deployment in support of Combatant Commander requirements, provides first class support to Soldiers and families, and enables unified action with community, state, and interagency partners for the greater good of our Soldiers and their mission. How Did a Lifelong Prison Sentence for an Iraq Vet Turn Into an Imminent Death Sentence? A History of Shootings at Military Installations in the U.S. This entry was posted in Child Abuse, Department of Defense, Domestic Violence, Homicide, In Their Name, Military Policy, Military Sexual Assault, Scandals, US Army, Violent Crime and tagged Aaron Lucas, Aaron Perry, Andrew Byers, Army, Attempted Murder, Benjamin Cardwell, Benjamin Prange, Branden Harms, Brandy Fonteneaux, Brian Hawkins, Bruce Bastien, Calvin Epps, Child Sexual Assault, Christopher Mountjoy, Christopher Walton, Christopher Weaver, Christopher Wilbur, Colorado, Courtney Lockhart, David Dunlap, Deangelo Brown, Dennis Taylor, Domestic Violence, Dustin Mincy, Eric Bartholomew, Fort Carson, Frontline, Homicide, Iraq, Jack Saville, Jacqwelyn Villagomez, Jeffrey Page, John Burrell, John Donathan, John Dupree, John Needham, Johnny Herrera, Jomar Falu-Vives, Jonathan Clark III, Jose Barco, Joseph Alfred Garcia, Joseph Kimsey, Judilianna Lawrence, Justin Holt, Keith Williams, Kenneth Eastridge, Kevin Corley, Kevin Shields, Kimberly Walker, Lamar Anderson, Leroy Davis, Louis Bressler, Lourdes Riddles, Mark Petrosky, Military Sexual Assault, Monterrious Daniel, Murder, Mykal Hall, Noel Acevedo-Mercado, Nolly Depadua, Non Combat Death, Olin Ferrier, PBS, PTSD, Reggie Martinez, Richard Sheltra, Robert James, Robert Marko, Rodolfo Torres-Gandarilla, Roman Alred, Roy Mason, Ryan Gloyer, Samuel Walker, Saul Lucas, Sexual Assault, Stephanie Charboneau, Stephen Payne, Thaddeus Montgomery II, The Wounded Platoon, Todd Crow, Tracy Perkins, US Army, Vincinte Jackson, Violent Crimes, Whitney Butler Dunlap by Jennifer Norris. Bookmark the permalink.